Cheyenne lampwork glass bead set made by Laffing Gull beads. This one of a kind brightly colored pink and green set includes 11 beads. The center bead (transparent green with pink and green bumps) is 13mm x 10mm and is surrounded by smaller accent beads. 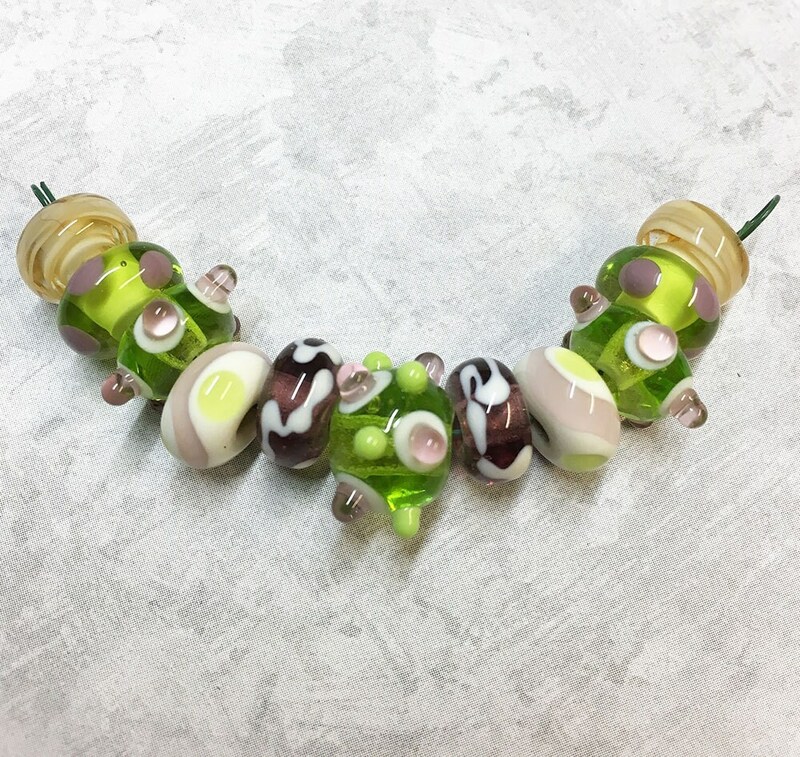 There are 2 of each of the accent beads: amethyst with white swirls 10mm x 6mm; white ovals with pink and green curved stripes 11mm x 6mm; transparent green with pink sputnik ovals 11mm x 6mm; transparent green with pink dots 11mm x 6mm; and light pink oval swirls 10mm x 6mm. Beads have 2mm holes and are made with Borosilicate glass; all beads are annealed in temperature controlled kilns to ensure lasting beauty and durability.